Straight down the line, open communicator, resident badass. Wants everyone to be the best version of themselves and provides the accountability and assistance to make it possible. Blends training like a warrior with training for longevity. I am a senior coach and business owner, I manage the box's team of awesome individuals and head up the culture and community aspects of the box. 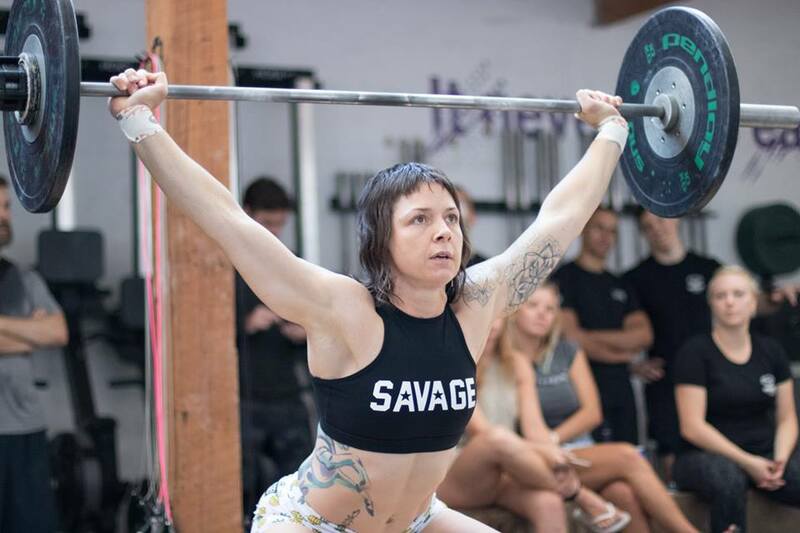 I also support some of our members around private coaching and lead the Ox Box barbell classes. My dad, whenever Im struggling he always asks; "you ok?" and I always say yeah.. he then follows that question up with 'well, get on with it then." Its something I always come back to.. its always going to work out, maybe not always the way you plan or even hope but it always ends up working out in some fashion. My mum was a personal trainer and dad was in the army, they were very active as I was growing up..getting me into dance, field hockey and running while in primary school and early high school. I remember after school, hanging out in the local gym while mum worked, playing with my brother in the squash courts or doing mums classes up the back in my pj's. In my mid teens I started doing aerobics and that lead me to gaining a job at the YMCA doing reception and being a gym instructor, it was a lot of fun-especially assisting on the after school care and children's special needs programs. I stated teaching group fitness in my late teens. In my early 20's I was involved in a car accident that left me pretty badly banged up, it took three years to rehab my body and during that time I was inspired by the specialists that supported my recovery, so much so I went back to school and became qualified to coach people individually. Thats where I met Head Coach Josh. 2005 getting our fitness qualifications. I liked his humour so bugged him until he would be my friend, soon after we started working together and thats been pretty consistent for the last 12 years- we ran The Naval and Military Club’s gym, we ran Crunchtime Personal Training Studios and, after a 18 month period where I ran a Fernwood Women's Gym, we opened Crossfit Collingwood together. In 2007 I joined the Army Reserves, I wanted to expand on my leadership skills and was inspired by my dads experiences. I served for 5 years and in that time was a Medic with 2 company commando's. The unit got involved with Crossfit Victoria to hold a training session in honour of a soldier we had just lost in Afghanistan. The workout was the hero WOD 'Wood', I arranged for Josh to come along with a group of us from the unit and we threw down in 40 degree heat.. it was brutal, and challenging and FUN! Josh and I were hooked. 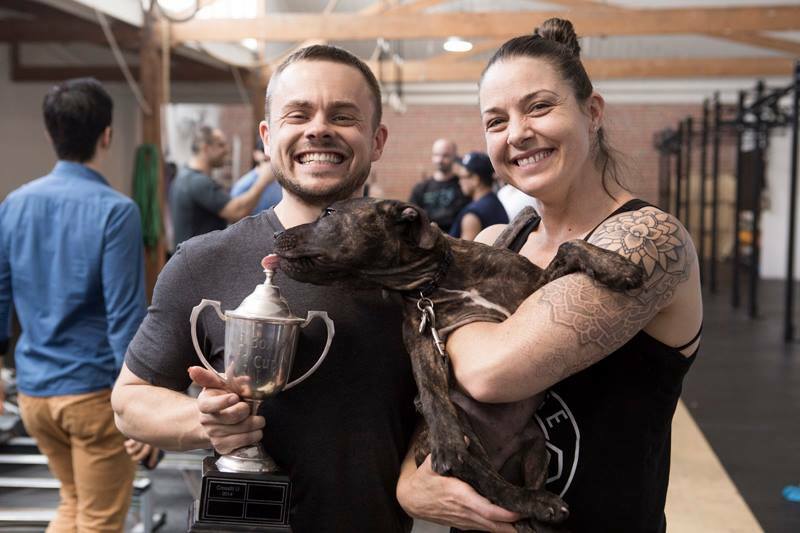 There ensued almost two years of us training at as many boxes as we could, so much so we became known as The Crossfit Whores, we talked business with anyone that was open to it and started to goal set on opening our own space, which happened in 2012 when we found the Collingwood property. To not get bored. At 40, my biggest take away for being around this long is to keep challenging myself to develop and evolve. As I've observed that its when you think that you know that you know something that you don't know much of anything at all. So I challenge my self, constantly, by asking why? What does it mean when I feel a particular way or react to a situation or feeling? In the challenging comes self reflection and the empowerment. To be in service of my communities, by supporting as many people as I can to realising the importance of their health and fitness, and how it contributes to health for them physically, mentally and emotionally. We have so much disfunction in stress and anxiety illness and then physical disease that are so easily avoidable thru consistent health and fitness practices, realising that you can navigate those risks through good nutrition and movement daily is so empowering, it also lowers the impact on our health systems and makes for more resilient, adaptive humans. To practice and maintain the healthiest and strongest body I can, to ensure I can do all the things I love for the full duration of my life. Due to my exposure to so many individuals while working in the fitness and health industry I can see what happens when we don't prioritise our health as part of our lifestyles and its impacted me so much that I have a very 'non negotiable' approach to my nutrition and training practices. It is an intrinsic part of my daily habits. Our first class at the box, the equipment was still being delivered and the black flooring hadn't been laid down.. we dragged individual pieces over for athletes to have their own 'platform' and just went for it ghetto style. The 12 Outlaw Way Days of Christmas. Its long in duration and a particularly fun chipper. The Hand That Feeds - Nine Inch ails. I Had To Choose - Class A. Bomb Intro/ Pass that dutch, Missy Elliot. Would go back and see the greats play live: Elvis, the Beatles, Johnny Cash, Led Zeppelin. To experience the music and how it impacted those eras and wrought change would be something else. Le Bon Ton cheeseburger, hands down the most consistently awesome burger in Melbourne. Semi Auto shotgun..for the reassuring double tap to the head. Barcelona, where the night life is colourful and the tattoo artists are world class.